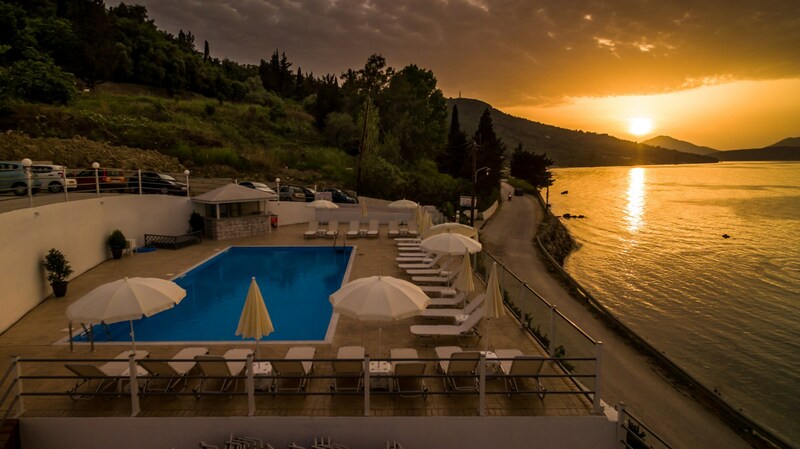 The Golden Sunset Hotel in Boukari – Corfu is an ideal choice for relaxing and pleasant holidays away from the noisy resorts, combining breathtaking view to the sea and the mountains. 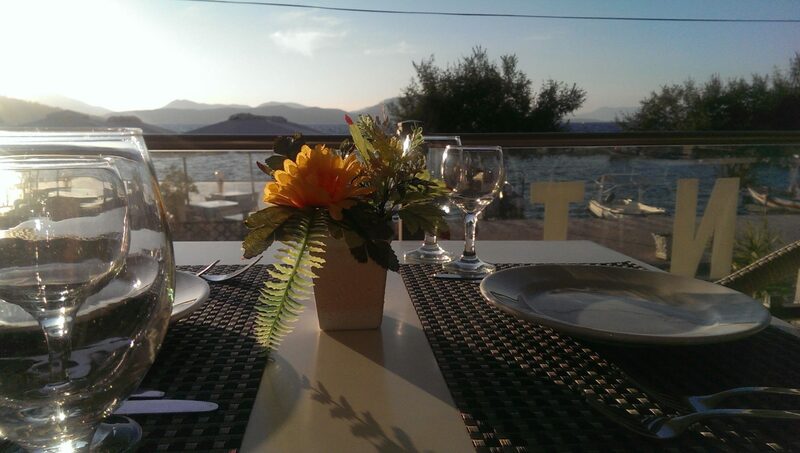 The colors of the sunset from each balcony is unforgettable! 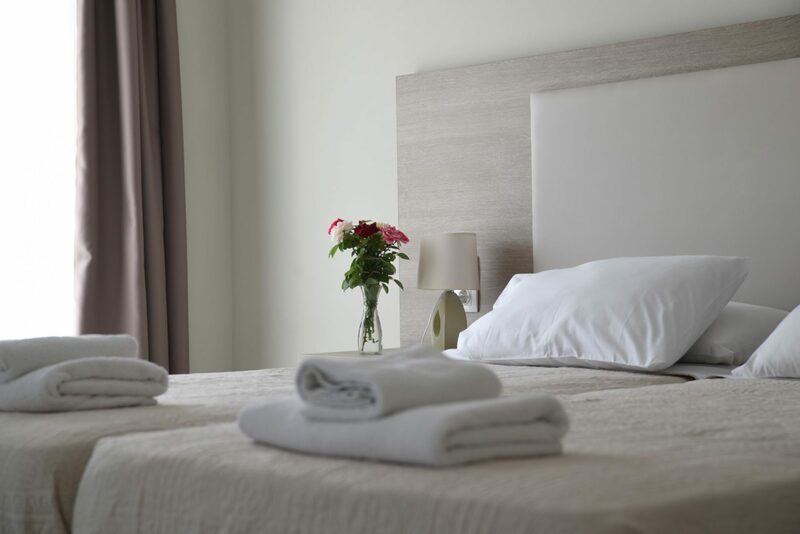 The guest accommodation comprises sixteen rooms which sleep two to four people. All of them feature balconies with views over the sea and the harbour, air-conditioning and a television. 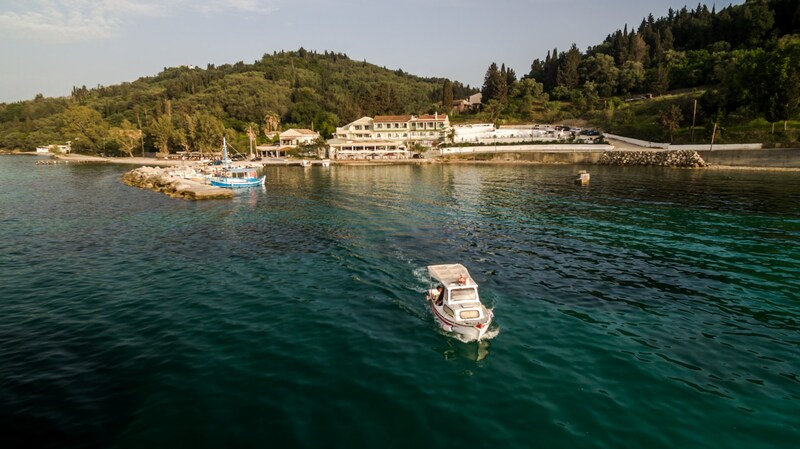 Located in gorgeous green hills overlooking the sea in the south of Corfu, this welcoming family hotel is a great place to relax and discover the beauty of the nature. The surrounding area is great for hiking and cycling through the picturesque villages near Boukari. 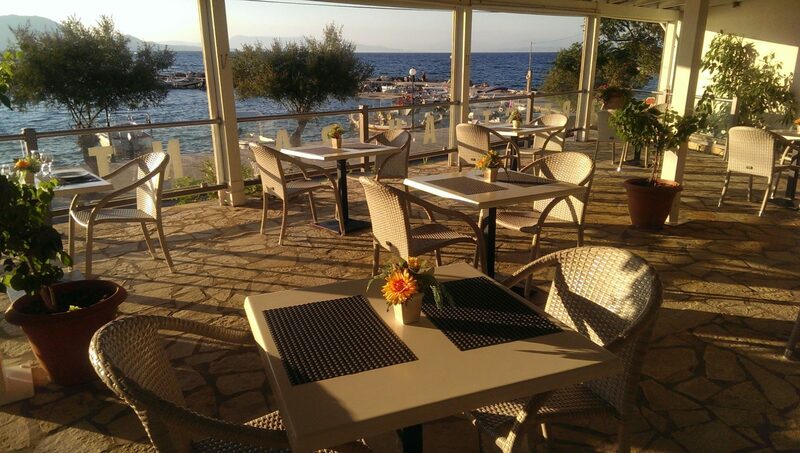 The Guests can start the day with a tasty breakfast in the restaurant of the Hotel and continue with delicious homemade Corfiot dishes, which are made from fresh local ingredients selected one by one, blend together to become delights that will intrigue your palate. 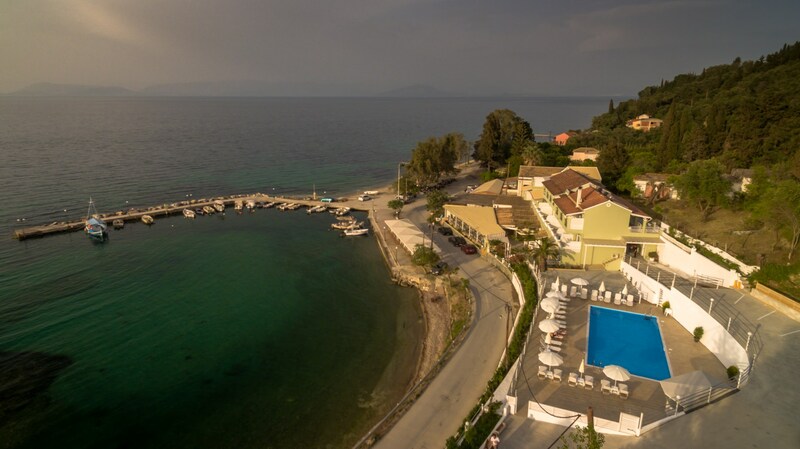 The Hotel is conveniently located a thirty-five minute drive from the airport and forty minutes from the city of Corfu. 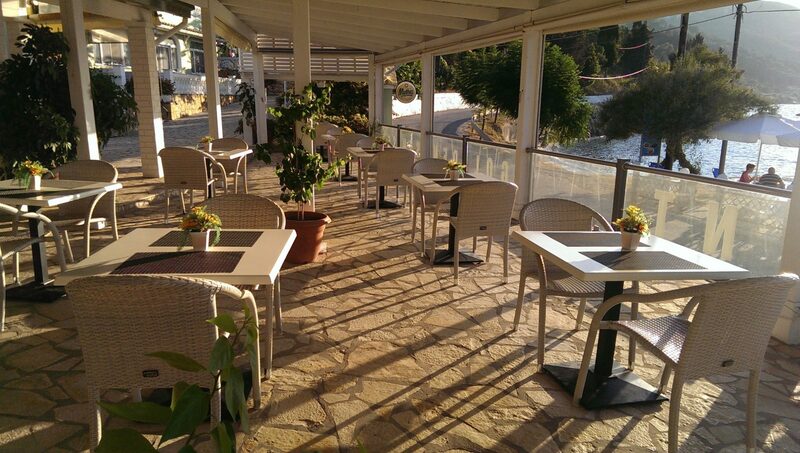 The premises also feature a bar and lounge where guests can socialise and enjoy a drink. 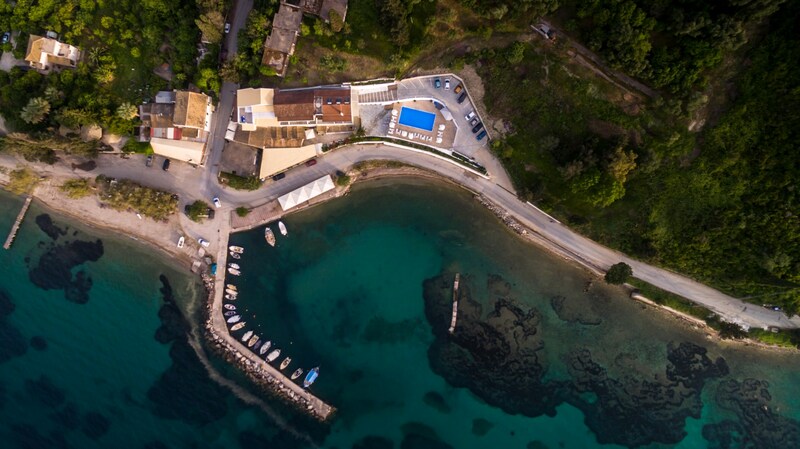 Also the resort have easy access to the beach and there is car parking available for guests who want to explore the island. 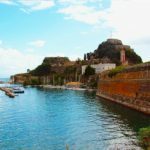 Sandy beaches, sleepy villages and some of the best nightlife in Greece; Corfu holidays have all the bases covered for couples and families alike.